Home » General Interest » The Mile High Tea Club – Or is it Possible to get a Good Cuppa whilst In-Flight? So, to the next tea conundrum : Is it possible to get a decent cup of tea whilst on an aeroplane ? If we refer back to our article on “Making the Perfect Cup of Tea” we can see that a mathematical formula has even devised for the ideal brew which shows that it is best drunk exactly 6 minutes after being made with an optimum brewing time of 2 minutes and an ideal amount of milk of 10ml. The formula is read as : The perfect cuppa (@ Optimum temperature of 60C) is achieved by adding the Tea Bag to water @ 100C for a Brew Time of 2 minutes; remove the tea-bag; then add 10ml of milk; then stand for 6 minutes. Thus, we can say the answer, unforutnately, is an emphatic no!, for the simple reason that the cabin crew cannot boil water at a tea connoisseur’s ideal of 100°C, because the air pressure in the cabin is lower than we generally experience in everyday life – the equivalent of roughly 6,000 feet above sea level. Since the boiling point of water (or any substance) drops in accordance with pressure, water heated in an aircraft cabin will reach boiling point before it gets to 100°C (it will actually boil at 93°C). 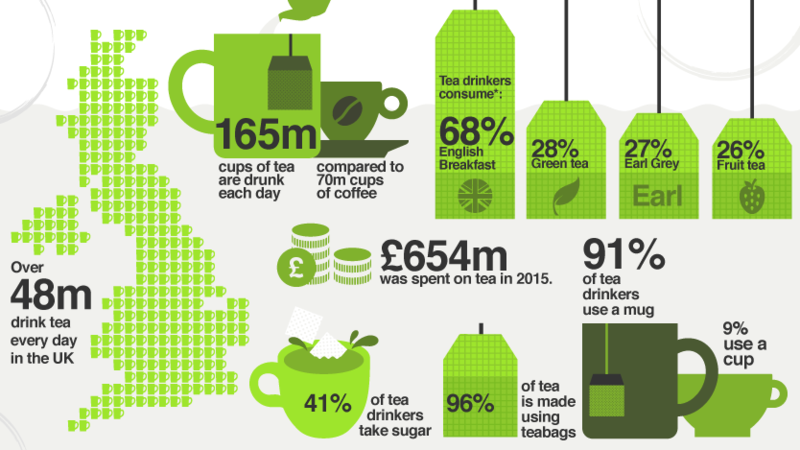 As a nation of tea drinkers, we British are lucky that we have (on average) no altitude problems to interfere with our national brew. But so you can be forewarned against “tea catastrophy“, the following table shows how the boiling point of water varies between various locations around the world. In Conclusion : The moral of the story is if you really like your tea, don’t fly on an aeroplane or try any impressive mountain climbing.